In our diocesan ‘Year for Mission’, we are setting out to renew our social mission with the launch this weekend of a new agency: Caritas Diocese of Shrewsbury. ‘Caritas’ means ‘charity’ which explains what is at the heart of this initiative. Charity has always been the hallmark of the followers of Christ who tells us: “By this love you have for one another, everyone will know that you are my disciples” (John 13:35). This is such a vital witness that Saint Augustine said: “If you see charity, you see the Trinity”. In our mission together as a diocese, Caritas Diocese of Shrewsbury will be one way in which we can respond to Christ’s call in today’s Gospel, namely to “shine in the sight of men, so that, seeing your good works, they may give the praise to your Father in heaven” (Matt. 5:16). We give thanks to God for the countless works already being undertaken in the name of Christian charity. 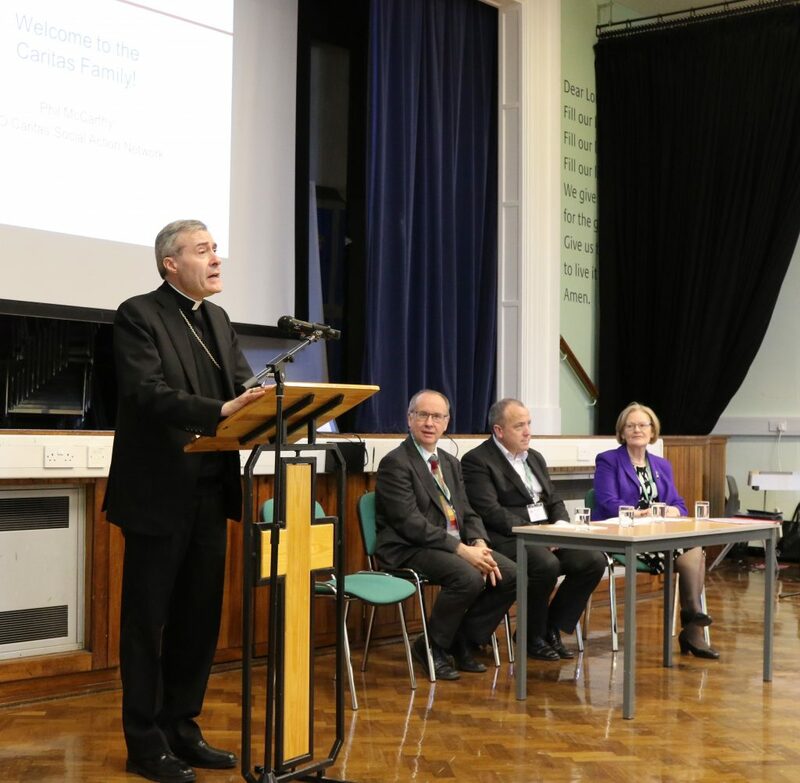 Two years ago, a memorable gathering in Ellesmere Port Catholic High School, drew together from around the Diocese many people and associations working for charity and justice. That event was the impetus for this new initiative. Our Christian commitment to justice – meaning, the right ordering of all things in human society – will always demand charity (cf. Pope Benedict XVI ‘Deus Caritas Est’ n.28). 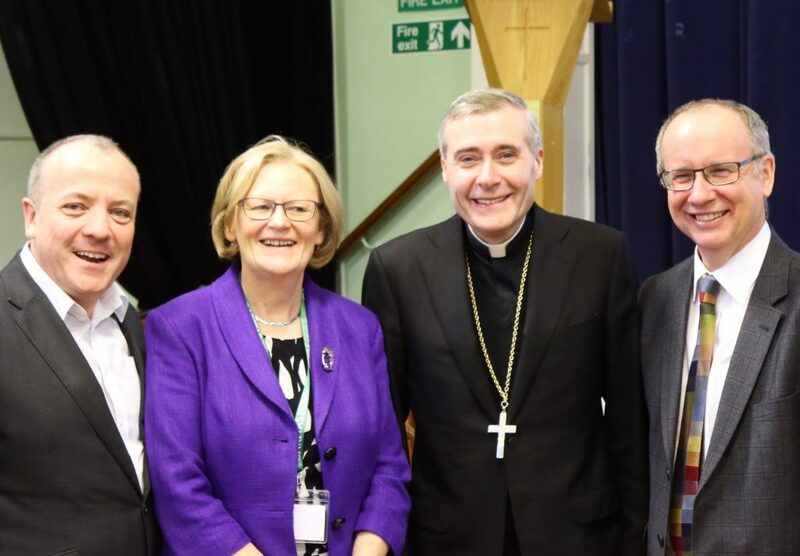 Caritas Diocese of Shrewsbury will be the arm for our social mission; it will seek to support – not replace – the wonderful work of Catholic associations and local projects. Caritas follows in the footsteps of our Catholic Children’s Society, extending its work to help address new challenges. We want to give witness to the value of every human life from conception until natural death in the midst of new forms of poverty. We set out in the service of children and of families; of the elderly; of the increasing plight of the homelessness, of the refugee and those trapped in modern slavery to mention but a few situations which demand an urgent response in justice and charity. In doing our part to address such pressing needs, we pray in the words of Isaiah’s prophecy today, that “our light may rise in the darkness” (Is.58:10). As Saint Paul writes, in all things it is “the love of Christ which drives us on” (cf. II Cor.5:4). Yes, our love for neighbour must always be grounded in our love for God. It can never be based on passing sentiments or ideologies, but in the sure recognition of the dignity of every human being who is created in the image and likeness of God. I want to record all our gratitude to those who have given of their time, made personal sacrifices and offered financial pledges as part of ‘Our Mission Together’. This fund-raising initiative has made the launch of Caritas Diocese of Shrewsbury possible. I hope everyone in the parishes will have the opportunity to participate in the coming months. While Caritas will require professional expertise, it will always rely on a ‘formation of the heart’ so that our love for neighbour will come from a heartfelt concern for others and truly be a response to the dignity of every person. In this way, we will give witness to Christ. A world of need stands around us, demanding this witness today. We must not be overwhelmed by the scale of the challenge. In her Christmas broadcast, Queen Elizabeth drew our attention to the Saint of Calcutta, Mother Teresa who said: “Not all of us can do great things, but we can all do small things with great love.” I hope in this mission together you, too, will in many small ways become part of this great work of Caritas Diocese of Shrewsbury.